Subscription Shavings: Are Monthly Shaving Kits Worth It? A good shave does not come cheap and this is certainly true of modern shaving. Cartridge razors are expensive and buying replacement packs can be incredibly costly especially when big brands manufacture razors that ONLY fit their own models. For example, Gillette currently have 3 different top razor models on the market: the Fusion, Fusion ProGlide and Fusion ProGlide Styler. 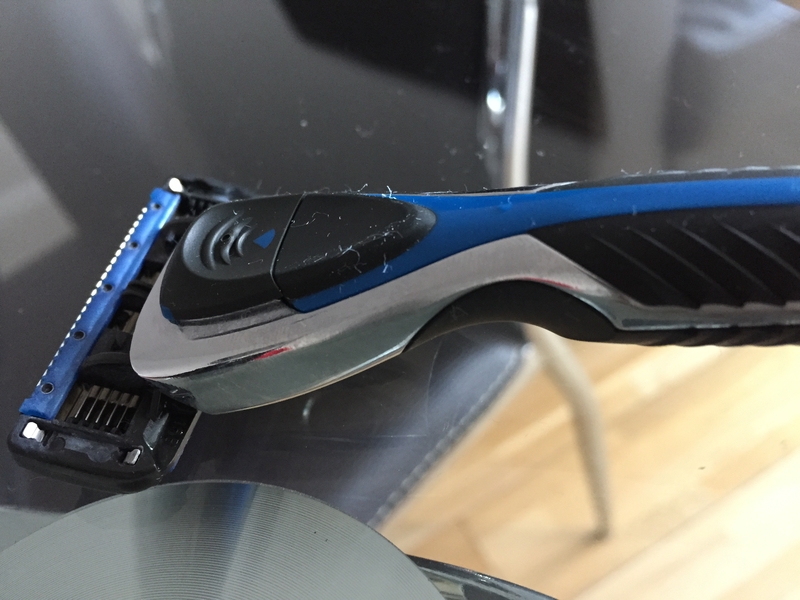 The blades for these razors cost £12.29 and, if you change them once every 3-4 shaves as recommended, you can easily end up spending close to £25 per month (£300 a year) on razors alone. Recently, smaller shaving brands have been looking to address this by creating monthly shave package subscriptions that give you a razor and then a set of blades on a monthly basis. The idea is that this is more cost-effective and convenient for consumers whilst providing a better shaving experience than the larger brands. Today, I see if those two statements are true and give some insight into my own experiences with shaving subscriptions. Before I started writing about grooming regularly I used to use a Gillette Fusion razor with ProGlide blades. The only reason for my choice is that it had been on offer in Boots and I purchased it there and then. The horror came when the blades included with the razor became blunt and I had to replace them. I shave almost daily, not because I’m a particularly hairy man but because I like to maintain a clean shaven look. If you factor that in and take into account that most skincare experts recommend changing blades once every 3-4 shaves (due to bacteria buildup) I was spending something like £40 on razor blades every month. Also, I didn’t get the impression that the blades were built to last either, they felt cheap and often didn’t give a great shaving experience. For the amount I was paying and considering the brand’s promise of “the best a man can get”, I felt like this was something of a short change. Recently, I’ve been using a cut-throat razor for shaving. 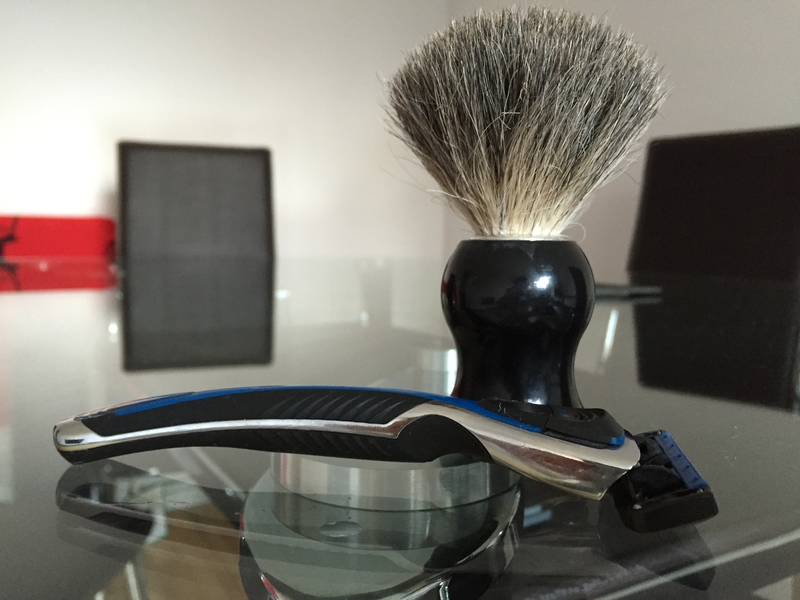 The blades are cheap, it’s a much closer shave and it’s a skill i enjoy putting into practice. However, the process can take a considerable amount of time and isn’t always convenient. This is particularly true when travelling or in a hurry as often circumstances dictate you won’t be able to do it properly. Realising I needed to find a solution to this problem I started doing some research concerning shaving kits and monthly subscriptions. I’d been contacted on Twitter and via email regarding different brands but none had really appealed to me in terms of their design. However, a fellow blogger recommended I check out ShaveKit, a relatively well established brand who he claimed did good quality products at a reasonable price. 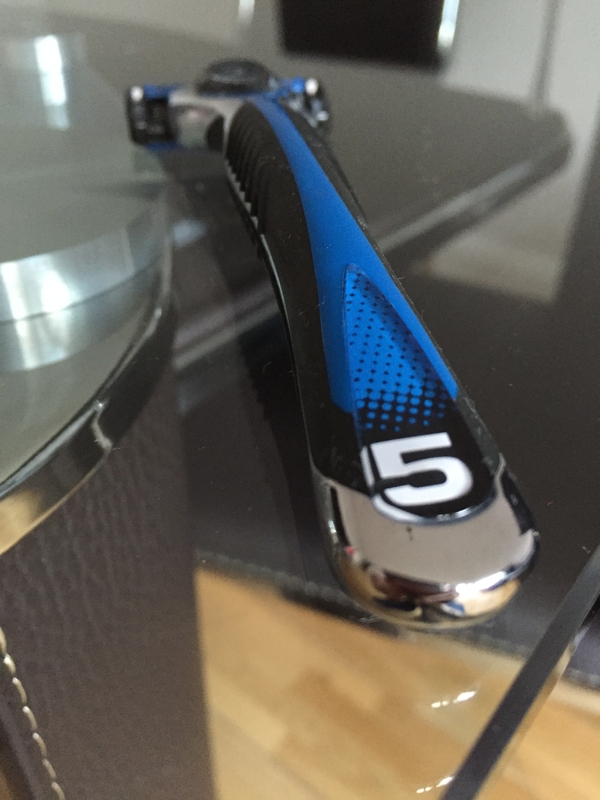 Their pricing was remarkably simple for 4 razor blades and your first delivery contains the razor handle. You can choose between a 3-blade razor (£6.95 per month) or a 5-blade (£8.95 per month) but both use ceramic coated, carbon-steel blades and have an aloe strip to soothe your skin. The design of the handle is very simple and favours steel and dark rubber over the plastics so commonly used in big brand razors. In terms of immediate value for money, it seemed to be a fairly attractive idea for saving me in excess of £30 a month. Close Shave or Clear Shambles? 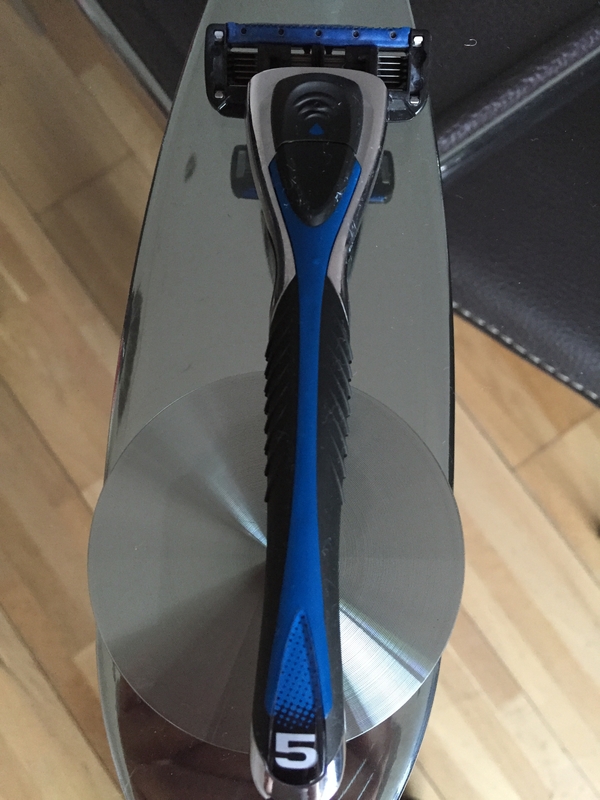 I was somewhat skeptical of the quality of the shave as the prices seemed to indicate that the razor design might not be of the highest quality. When the package arrived it was a simple black envelope (somewhat refreshing when other kits can be “forest killers” in terms of the amount of packaging they use) and came with handle and razors as promised. Assembled, the razor has a good weight to it and feels good quality whilst the grip is well moulded for the hand. The shaving experience itself was one that I enjoyed. A very simple and straight-forward process that didn’t require multiple strokes or facial contortions to get every hair. Problem areas like the under-jaw/neck were generally dealt with more easily than with my old Gillette, whilst the aloe strip soothed without feeling slimy (often true for gel strip on Wilkinson Sword razors). The weight meant strokes felt deliberate and smooth with minimal tugs and no nicks. The most important factor for me was the quality of the blades. After 5 shaves the blades haven’t dulled and there is no visible sign of build-up (though I tend to wash razors thoroughly in hot water). There has been no signs of razor burn and, whilst I am pining for my cut-throat, my face feels smooth and sharp. Overall, in terms of pure economics and, in the case of ShaveKit, quality of shave this seems to be a logical choice. The savings made, and the convenience of not having to monitor razor supplies for your next trip to the shops, means that the monthly subscription is a genuinely smart choice. A word of caution to all readers though, make sure to research brands before buying. Dollar Shave Club is a big name in the market but already has a fair few unhappy reviews from bloggers and consumers alike. Make sure you know what you want and find a package that works for you. For regular TMS followers who wish to try ShaveKit, you can get 70% off your first order with the code “MALESTYLIST” at checkout. Next Post What Makes A Modern Man?